Following the stock market crash of 1929 and the beginning of the Great Depression, factories began to close. By 1930, the depression and unemployment rate began to have an impact on people’s lives. Many lost their jobs, were evicted from their homes and many ended up on the streets. In Follansbee, efforts were under way in November 1931 to raise relief funds for the unemployed and desperate. L.A. Dillar took charge of the city’s welfare campaign. William Lake was responsible for solicitations from the mills and industries, and Robert Cash conducted a house-to-house effort for contributions throughout the city. Heading the list of contributions was $2,700 donated by employees of the Follansbee Brothers mill. Officials of the mill gave $1,900. The schools contributed $500, the city and city employees $250, Sheet Metal Specialty company $1,250, and Sheet Metal employees $900. City organizations also chipped in including the Knight of Pythias, Loyal Order of Moose, Eagles Lodge, Volunteer Firemen, and the Tar Products Company. Businessmen and other citizens contributed another $1,500. By early December the relief campaign totaled $9,000. 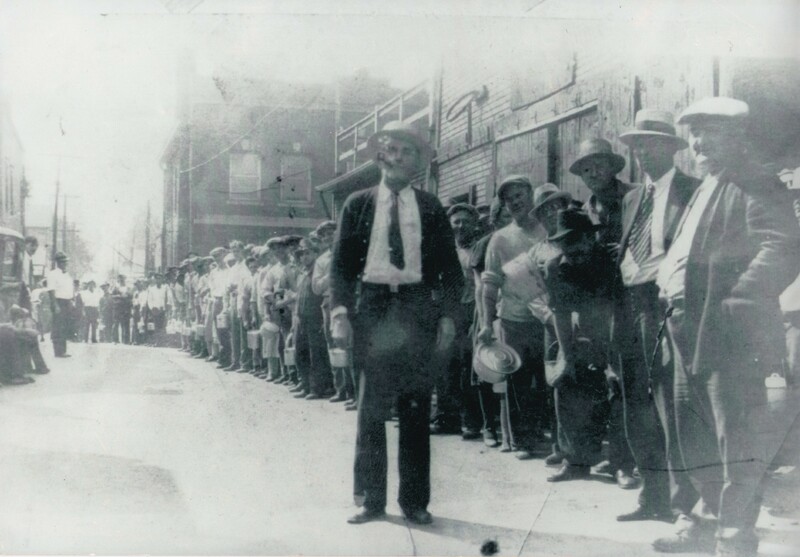 In September 1932, a soup kitchen was organized by the Follansbee Amalgamated Association of Iron, Steel, and Tin Workers Unions. An average of 650 persons per day were being fed by the kitchen located in Rose Alley next to the old Traubert’s Bakery near the City Building.